Brad Graham creates dark, bluesy, Americana that lives at the crossroads of ecology and technology, of the country and the city, of dreaming and waking, of the physical and spirit worlds.  It’s Mythic Barn Rock. After years of playing in bands, Brad is now making music that is intimate and immediate. He wants to erase the space between himself and the audience, and create a space around the audience and himself, drawing them all into a shared experience.